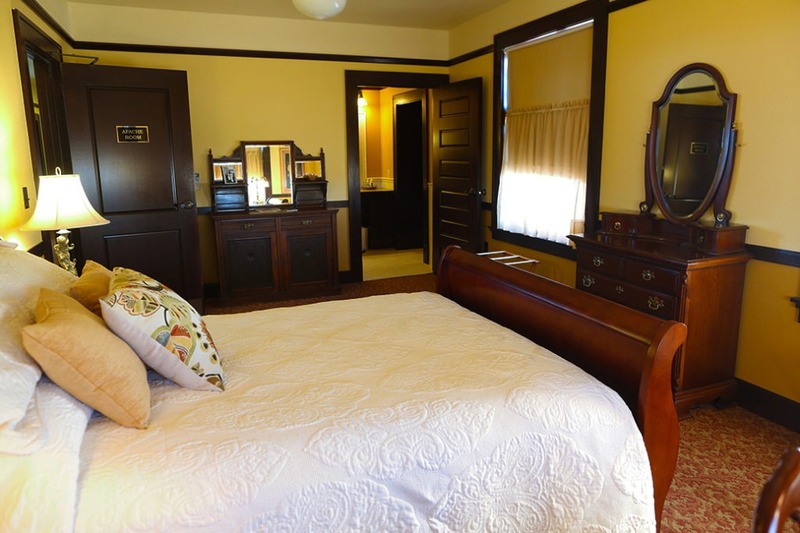 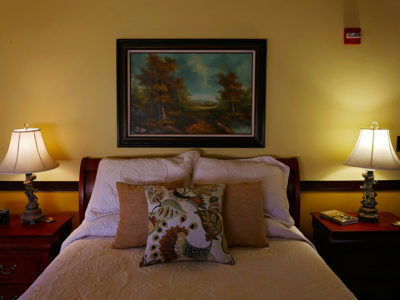 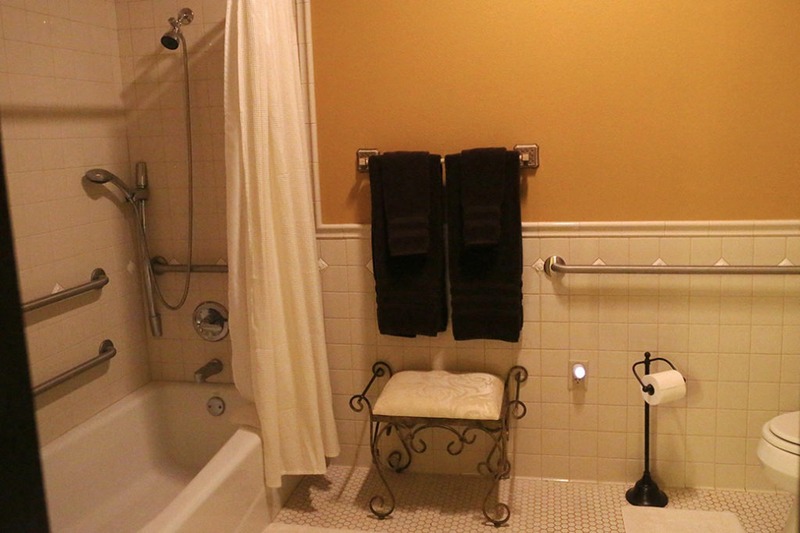 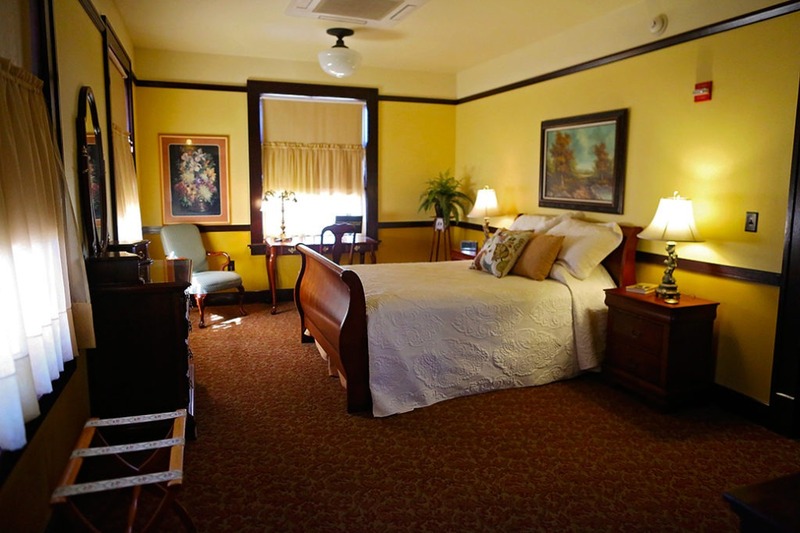 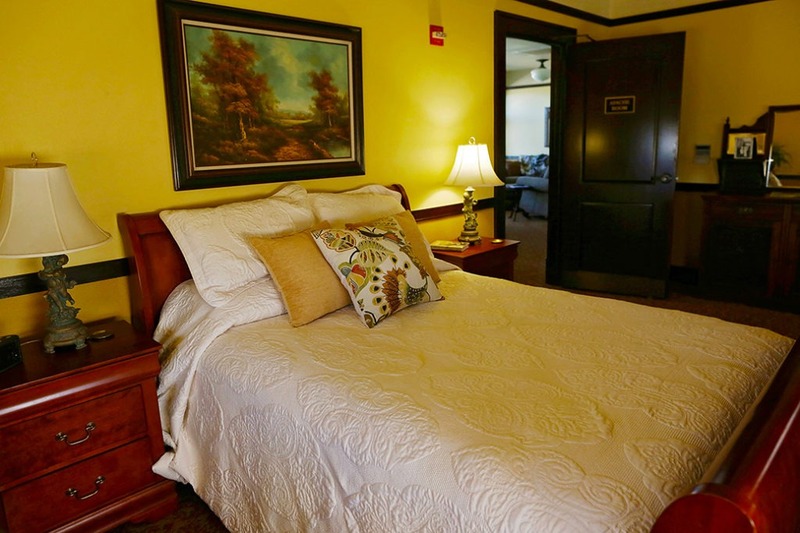 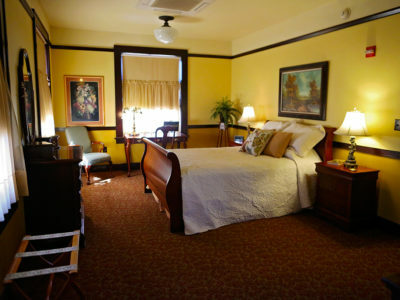 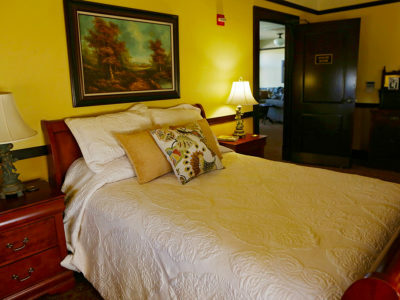 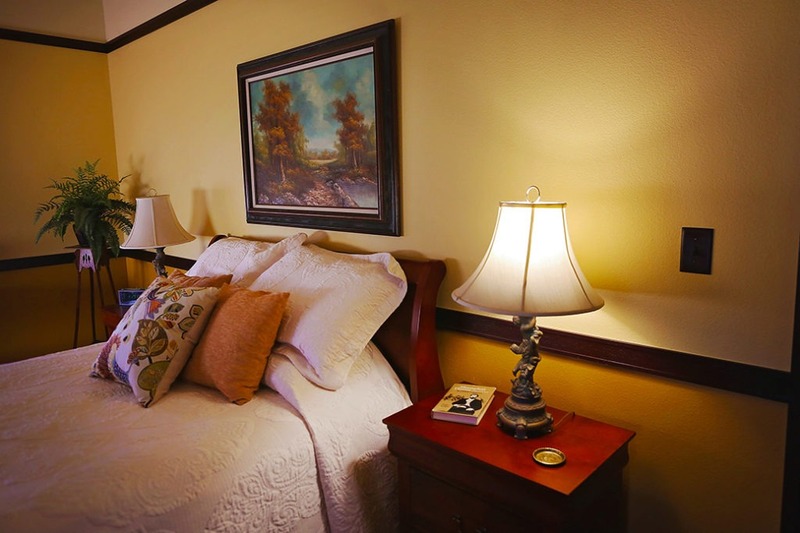 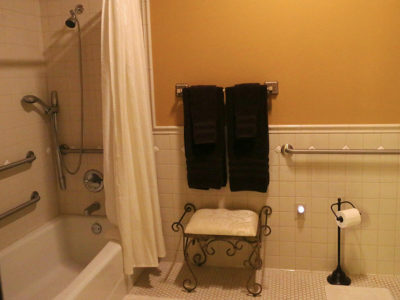 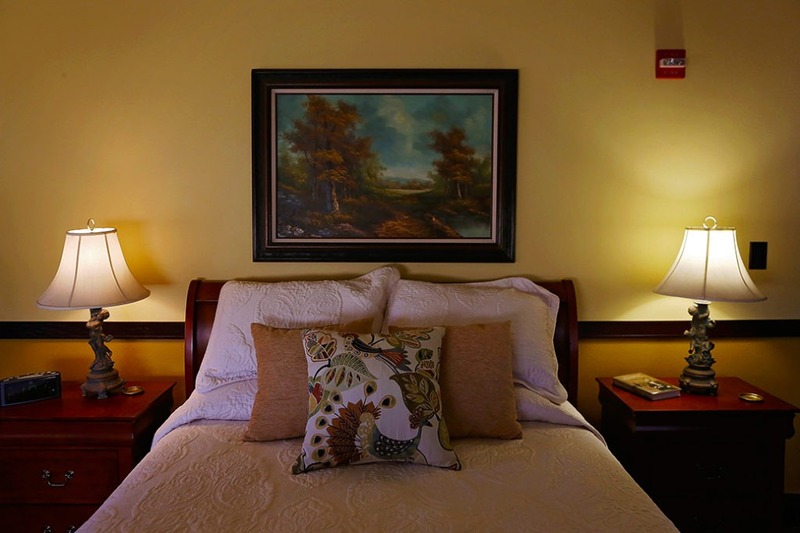 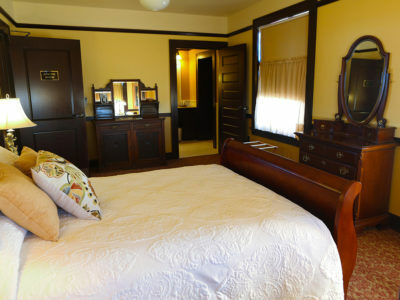 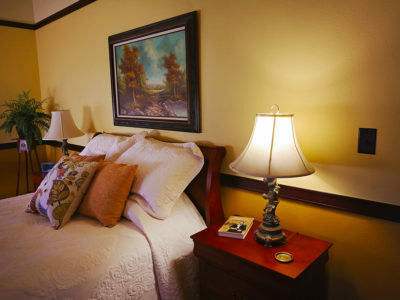 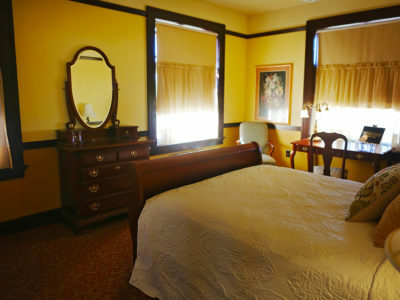 The Apache Room has a queen sleigh bed and a large handicap accessible bath with dressing area. 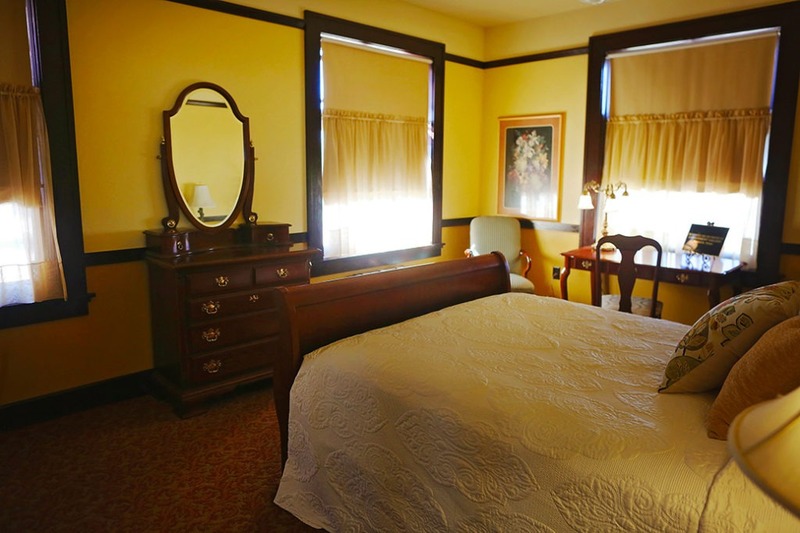 It has a rail yard and downtown Slaton view. 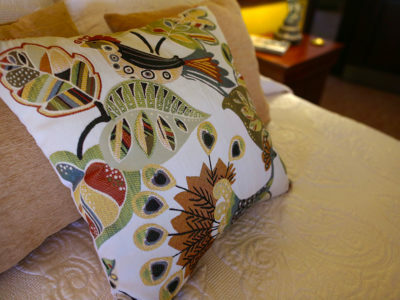 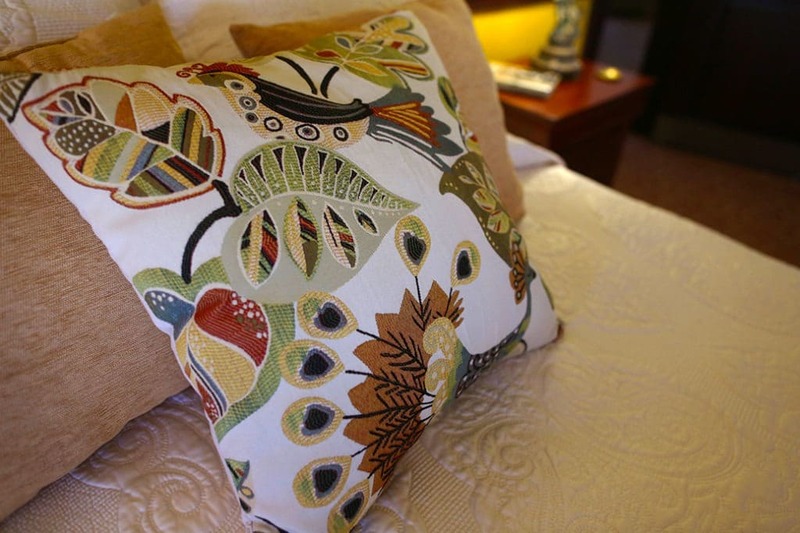 It was furnished and decorated by The Consignment Gallery of Lubbock.